Telemedicine Gaining Traction. Patient Attraction Growing. Here’s the Data. Recently we wrote about the American Telemedicine Association and WEGO Health study regarding patient experiences with telemedicine. Today, we have more data that supports the growing demand for telehealth services. The Physician Trends Report by Jackson Health collects data, surveys and commentary on U.S. physicians. It includes data on supply & demand, regulatory impacts, compensation & reimbursement, outlook & satisfaction, practice environment and employment. The 2016 report took a close look at telemedicine. The findings, together with other research suggest that the tipping point for telehealth is here. Here are 20 statistics of interest. A Nathaniel Lacktman, Esq. Healthcare Partner, Foley & Lardner report anticipates that the global telemedicine market will grow at a compound annual growth rate of 14.3% between 2014 and 2020. According to that same report, the market value is set to hit $36.2 billion by 2020, up from $14.3 billion in 2014. The Lacktman report also found that a majority of respondents already offer remote monitoring (64%), store and forward technology (54%), and real-time interaction capabilities (52%). Additionally, 39 percent say they have services that qualify as mHealth — patient-driven apps and online portals. A stunning 90% of healthcare executives involved in the Foley 2014 Telemedicine Survey reported that their organizations have implemented or are working on a telehealth program. According to a Towers Watson 2015 Employer-Sponsored Health Care Center Survey, 35% of employers with on-site health facilities offer telemedicine services and another 12% plan to do it within the next two years. According to that same research, about 70% of employers plan to offer telemedicine services as an employee benefit by 2017. The State Health Telehealth Laws and Reimbursement Policies Report, released in April 2016 states that, in 2015, 42 states proposed a total of more than 200 pieces of legislation addressing telemedicine. The Policies report also noted 29 states and the District of Columbia currently uphold laws mandating that most private health plans cover telemedicine services. The American Well 2015 Telehealth Survey found that 64% of Americans would attend a doctor’s appointment via video. The Telehealth Survey also revealed 57% of primary care physicians are open to holding appointments with patients remotely. The IHS Technology report, predicting explosive growth for telemedicine, found that 7 million patients will use telehealth by 2018, up from just 350,000 in 2013. The Global Telemedicine Market Outlook 2020 report found that Tele dermatology and Tele gynecology grabbed the highest market share, followed by Tele cardiology, Tele neurology, Tele orthopedics, and Tele emergency care. 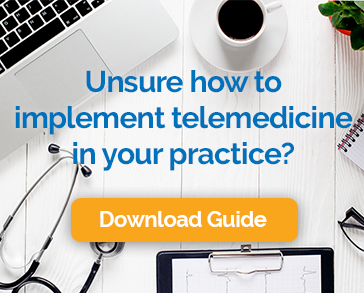 Calling telemedicine, “mainstream,” The American Telemedicine Association reports that there were about 800,000 real-time telemedicine encounters last year alone. Software Advice conducted a study and found that 67% of patients felt that telemedicine somewhat or significantly increases their satisfaction with their medical care. The Cisco Consumer Experience report found that 75% of consumers are comfortable with the idea of communicating with doctors using technology instead of seeing them in person. C2 Solutions discovered nearly 75% of all physician, urgent care and emergency room visits classify as unnecessary or manageable by phone or video. The NTT Data Trends in Telehealth Whitepaper highlighted the success of the approach in the VA. The VA reported outcomes that included 53% fewer bed days, 30% fewer hospital admissions, and savings of about $2,000 per patient on an annual basis in its home telehealth program. At the same time, the agency reported a mean score of 86% in patient satisfaction. That same report points out that, the US population is increasing and is estimated to grow at a rate of 20% to 363 million people by 2030. It also points out that there will be a shortfall of 130,600 physicians by 2025, thus underscoring the need for telemedicine and other technologies that increase provider efficiency. According to a study on the Geisinger Health Plan, patient readmissions were 44% lower over 30 days and 38% lower over 90 days, compared to patients not enrolled in the telemedicine program. Sorry for throwing so much math at you, but the evidence is simply too strong to ignore. Telemedicine is a fast growing and important part of meeting the healthcare needs of patients today and into the future. It is convenient for patients, offers new revenue opportunities to providers, and will help extend the healthcare system to support our growing and aging population.